Whitecap Books. Paperback. VERY GOOD. Light rubbing wear to cover, spine and page edges. Very minimal writing or notations in margins not affecting the text. Possible clean ex-library copy, with their stickers and or stamp(s). Whitecap Books, Limited, 2002. Paperback. Very Good. Disclaimer:A copy that has been read, but remains in excellent condition. Pages are intact and are not marred by notes or highlighting, but may contain a neat previous owner name. The spine remains undamaged. At ThriftBooks, our motto is: Read More, Spend Less.Dust jacket quality is not guaranteed. U.S.A.: Whitecap Books, 2002. trade paperback with light wear, has a price sticker on back cover, contents are clean--------part cookbook, wine guide and travel guide. Trade Paperback. Very Good. 8vo - over 7¾" - 9¾" tall. Whitecap Books, 2002-11-01. Paperback. Very Good. Vancouver: Whitecap Books, 2003. (CAD) First Edition No markings, Fine. Wraps, 333pp, index. Colour plates; monochrome photos. 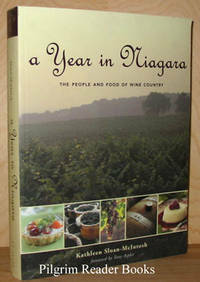 Part travel guide, part cookbook--this book brings the best of Ontario's Niagara pennisula. Recipes from local chefa and residents. (1.9 JM FO 44/5. 1st. Paperback. Fine. 8vo - over 7¾" - 9¾" tall. 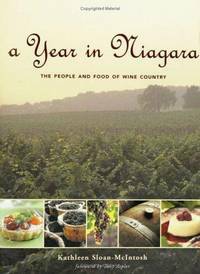 A Year in Niagara: The People and Food of Wine Country. Vancouver, British Columbia. : Whitecap Books.. Near Fine. 2002. Softcover. 1552853985 . 8vo - 20.5 x 15 cm; xv - (3) - 333 pp. Kathleen lives in the Niagara area and in compiling this recipe book (it is a lot more than that though), she also tells of her experiences in obtaining the ingredients for the feasts she so eloquently decribes. So - a bit of a travel guide thrown in along with the sustenance needed to do the travelling. Very minor wear to the cover edges with mild soiling to the text block edges. Appears to have never been used. Illustrated with many full page colour photographs. .
Whitecap Books. PAPERBACK. 1552853985 Like New Condition. . Fine. Whitecap Books. PAPERBACK. 1552853985 New Condition. . New. Whitecap Books, 2002-11-01. Paperback. Used:Good.